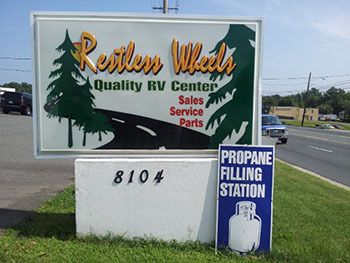 Here at Restless Wheels we offer some of the best RV specials and RV closeouts in Prince William County. Our RV specials and RV closeouts include new and used travel trailers, fifth wheels, folding pop up campers and more. Come by to walk the lot and see the many RVs we have in stock or browse our site and call us if you see something of interest.
" CLEARANCE SALE" "CASH PRICE"
MUST GO! WILL CONSIDER REASONABLE OFFERS! "CASH PRICE"
" CLEARANCE SALE" "CASH SALE"
"CASH PRICE" CLEARANCE! MUST GO! WILL CONSIDER REASONABLE OFFERS!